How would you rate your customer service levels? As we set off on a holiday, earlier this month, we made use of a premier cab service because of it’s great service standards. As my husband and I brought our luggage downstairs, the driver continued to sit inside the cab and just opened the boot. We hoisted it ourselves onto the boot. When we sat in the cab asked him why he did not bother to help us, he defended himself saying that that particular category of car was meant for city driving and not to carry luggage. And hence, it was not his job to help with it. Needless to say, he got a 1 star out of 5 rating from us. As we travelled to different places during our vacation, we found that service standards formed a very important part of our evaluation of hotels we stayed in. Some properties turned out to be average since we weren’t in metro cities but the service standards turned out to be make or break for us. Customer service has been the buzzword for a long time now. But in today’s times, we expect brands to ask us, “How high?” every time we command, “Jump!” Customer is the king like never before. Emperor, actually! It’s no longer just about the product. Or just the quality of the product. The sheer number of products and services we enjoy at the touch of a button accents the importance of service. Online shopping – clothes to vegetables, taxi apps, cafes, hotel bookings, ticketing and what not. In our fast and busy lives, we need efficient and quick service and have no tolerance for tardiness. We have access to feedback systems where we can rate services as honestly as we can. With cut throat competition in every product/service range, customer service is the only differentiator. Service is what differentiates a Starbucks from a Cafe Coffee Day. Service is what puts the Taj group on the throne of exemplary service. I believe that products may go wrong at times. But exemplary customer service can still salvage the customer’s trust in the brand. Companies definitely have a hard time matching the growing expectations and huge egos of customers. With so many options available to the customer, achieving customer delight is no easy task. Service needs to be a priority for companies like never before ensuring that every interaction of every customer goes seamless. And this consistency is the tricky bit. With businesses expanding geographically, it is a herculean task to maintain the service standards across locations. But I can think of some basic customer expectations that brands should take care of at all times. 1. Quick and easy: Whether you shop online, use apps on phone or get in line for a coffee, speed and ease are on top of our list. 2. Quality: No matter how great the service, the product (or service) on offer still remains important. 3. Handling complaints: This is critical for customer to come back the next time. 4. Social listening: With social media, brands/companies are just expected to be available all the time. One tweet and it should be heard. 5. Human element: This is more important than ever before. From the taxi driver to the executive on phone, we expect to be treated well and get instant resolutions. How many times have we cringed at executives on telephone throwing their script at us? How often has it bothered us that we are put on hold and forgotten? Don’t we find it irritating when citing company policies is the only help people can offer? Aren’t we waiting to be swept off our feet for being customer – the king? And companies who are conscious of this make sure that they jump hoops to retain customers. In my experience as a customer, a demanding one at that, I realise that brands who want to survive the competition have no choice but to pull up their socks. Apart from a service orientation at the organisational level, soft skills and training are powerful tools that can help brands stay ahead in the game. So what are a few things one can look at? 1. Genuine commitment to service: As I mentioned earlier, the commitment to service has to be right from the top. If sales or processes is all the company cares for, the foot soldier who faces the customer has no choice but to stick to the orders of the higher ups. 2. People committed to service: It’s not enough just for the management to believe that service is important. The belief needs to percolate down to every level of the organisation. Only then will there be enabling policies supporting customer service. When we visited Coorg and stayed at a Taj property, we had this young lady accompany us to our room and show us around. The exuberance is something we remember to this day and reflects the service standards of Taj that believes in making every customer feel special. 3. Trained personnel: It isn’t brilliant customer service if it depends on the whims of a random person representing the brand at some location. Hence, it is very important that every employee and especially the ones who face customers directly are well trained. People skills like dealing with irate customers and soft skills like patience, positive body language and genuinely caring for customer experience are a few important areas. Haven’t you experienced varied service standards at different cafes of the same chain? That’s lack of consistent training. 4. Going out of the way: It is also important to train people to know the times when they can make an exception. Who doesn’t like a freebie thrown in to cover up inconvenience caused? When we were stuck at Delhi Airport for a late night flight and all restaurants were closed, an executive at a reputed cafe made an exception by handing out a manual bill which did not record the time of the purchase. This way it was a win-win for both. And memorable service for us. 5. Trained in social media: Needless to say that brands that aren’t paying attention to this are already lagging behind in the race. I always prefer brands I can reach with just a tweet than having to call or mail them. I have had an airline send me my ticket copy by just tweeting them my PNR number. 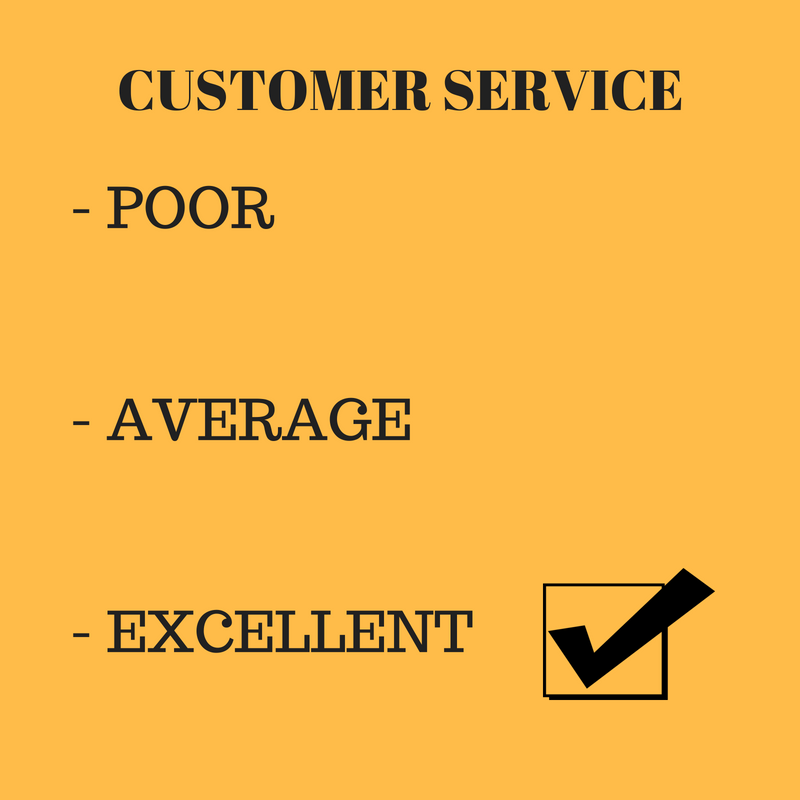 Excellent and unfailing customer service standards is the only way to survive in these super competitive times. In another post in the future, we will look at customer service on phone and on email. Can you think of memorable customer service experiences that you have had – memorable for being good or bad? Can you think of something that the brand could have done to turn bad service into good? Share your experiences in comments and I will be happy to hear them! I agree that the customer is now the Emperor! More demanding, more vocal and more influential thanks to social media…. customer service is the most differentiating factor when it comes to brand loyalty these days! Customers are the reason we exist as business persons. It is important for us to work with devotion to provide best in class quality as well as very mindful customer service. Best practices are known to everybody, what makes a business a winner is the passion they bring in. I agree Milind! Thank you so much once again for your comments!